We’re fans of vernacular architecture – and have published/ helped produce a few books ourselves on the subject (Welsh/Irish interest). We’ve an interest in vernacular architecture from any country, and obviously Wales. 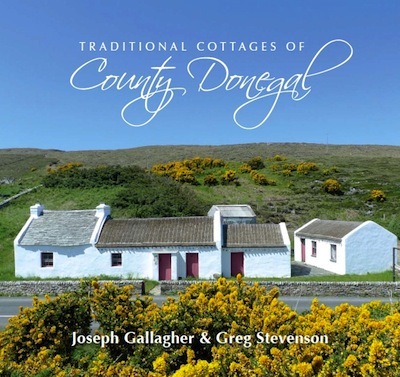 Here’s a list of books from a country that we have a particular soft spot for – Ireland. Ireland has a peculiar relationship with her traditional buildings – on the one hand they’re celebrated as part of the national identity/ psyche/ culture..and yet on the other hand they’re rarely protected or conserved. Below is a list of links to others books that are available that we’ve enjoyed. They vary from academic to touristic, but all have some use or interest. This isn’t an exhaustive list by any means. Note if you purchase via any of these ‘smile’ links 0.5% of the purchase price (no cost to you) is donated to charity Battery Chicken Rescue Northern Ireland. We’ve rescued battery chickens ourselves and, of course, encourage everyone to check the category of every egg you buy. To be honest I can’t remember the last time we found a UTT guest leaving eggs in a cottage that weren’t free range, which says something about the good community that we are! If you use amazon you can use that ‘smile’ system to donate on any purchase you make (to a charity of your choice, no extra cost).